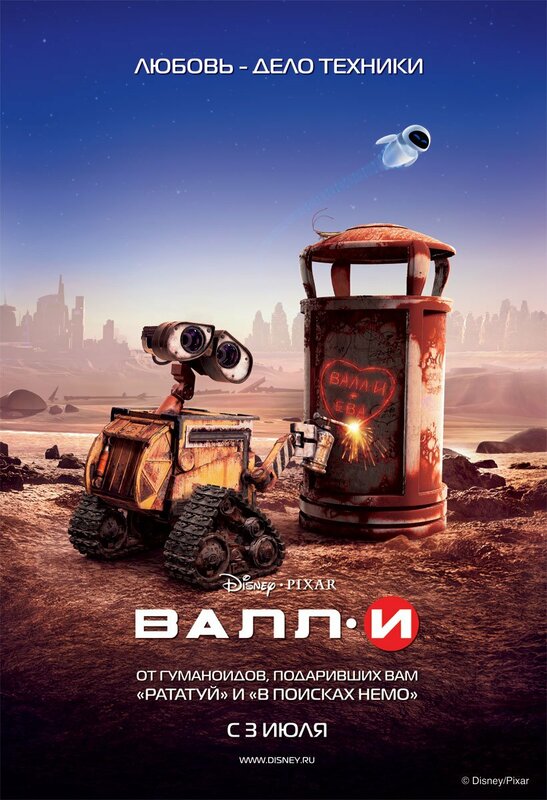 These new Russian posters for Wall-E sure up the cuteness factor remarkably. 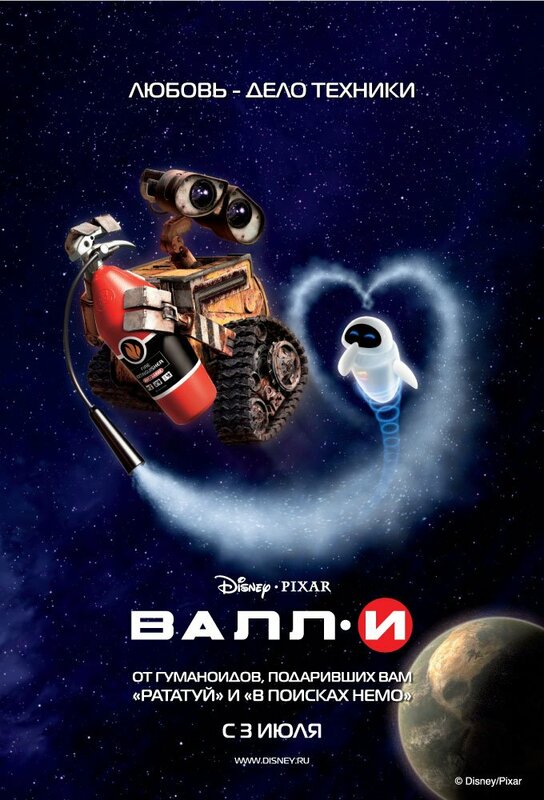 Now, my man Wall-E was always one adorable fellow, but in the beginning there was a certain edge to him. After all, he was all alone in a planet and that kind of thing can make even the sweetest people snap? 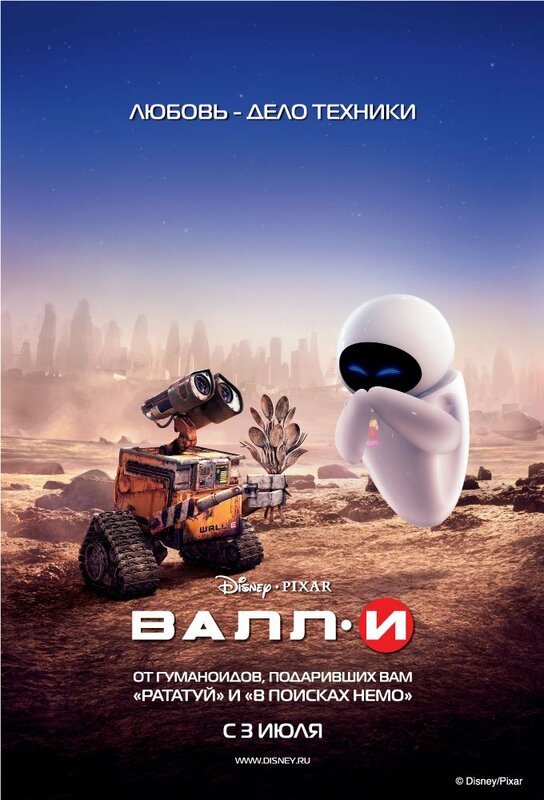 But now in these new poster he has companionship, and it has obviously washed away any dark side and made him irredeemably soft. 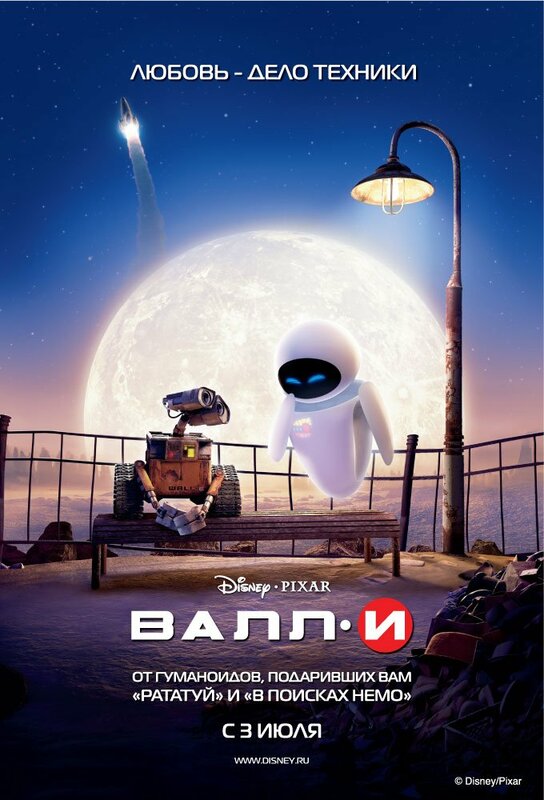 Honestly, there was something very especial about the first posters and trailers, about the loneliness and quietness in them. These new posters have lost that, but they have gained a broader, more obvious appeal without tarnishing that first impression. They are a nice addition to the campaign, and right now I want nothing but the best for this movie. And now may I watch the film already, please? Casty kindly reminds me that I forgot the poster below.